Thanks for 100 views!!!! Hope everyone is liking my mod so far! 150! Thank you so much! This my first mod, so im so excited to shares it with you all! JUST RELEASED THE FIRST VERSION OF THE MOD! HOPE EVERBODY LIKES IT! STILL WORKING REALLY HARD TO MAKE IT EVEN BETTER! Now at over 300 views! Also, I just released the first bugfix update of the mod, heres the link. Version 0.1.2 is out now! 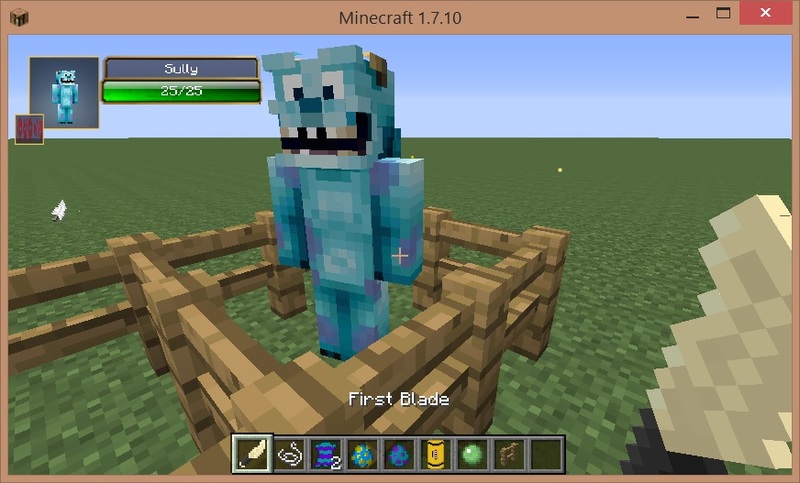 And if the tease yesterday wasnt clear enough, it includes new frozen themed mobs, items, and a brand new frozen biome! Have fun! DOWNLOAD IT NOW HERE: VERSION 0.1.2! (THE FROZEN UPDATE) https://www.dropbox.com/s/ahhu3ll6or116yc/DisneyMod(1.7.10)V0.1.2.zip?dl=0 Also, thanks for 400 views! 0.1.3 out now! The mod now includes charcaters from Winnie The Pooh & Disney Princess! Also, if you want see the Incredibles & Toy Story sections of the mod, check out these new mod reviews from TheMinecraftHippie on YouTube! Well, If you check out "The Lion King" mod you will notice that it was discontinued at 1.6.4 maybe you can add some Lion king to this mix! - Tarzan : Tarzan, Jane, Forgot the old guys name, Turk, the elephant. - 101 dalmations: a Dalmation pet? You could make a dimension with all the biomes? - Andy's house being a spawn. I don't know I'm just overly excited! I was looking at the 1.6.4 one, and I noticed it was discontinued, so I searched again and FOUND this one !!! I LOVE YOUR IDEAS! I will definetly look into adding some of these! Thanks so much! Haha thank you! I am looking forward to some new updates! There might be one today, so keeping checking the page! Sully, and Mike! c: Scare Tank was a nice edition! What was in the toy story update? Umm, What was this used for? If you can, can you make it sit down? Like putting it on the ground? That was a huge question in the last disney mod that was out, but they never continued their mod. 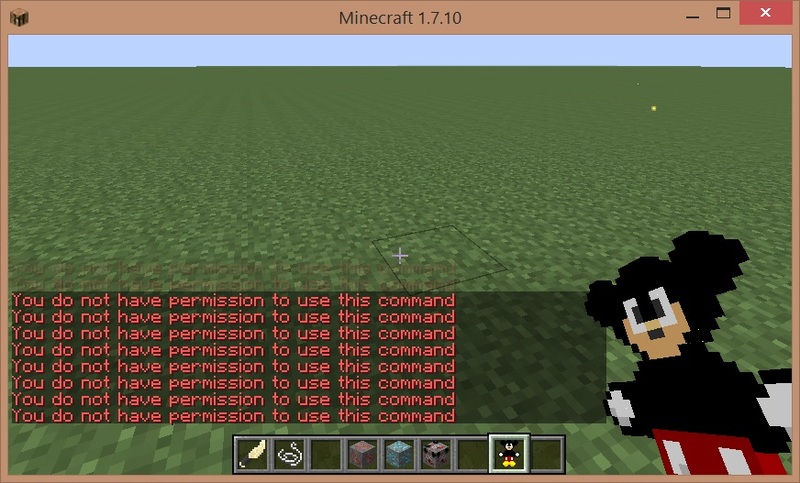 The Disney Figures, im working on being able to place on the fround, and that "you do not have permission" text is a bug, that should be fixed in the next update. With Toy Story in this update, I added Lotso, the pink bear from Toy Story 3, was a boss mob, but he doesnt have a drop yet. Glad your liking the mod man! Winnie the pooh : schizophrenic Christopher Robin! xD Eeyore, rabbit, piglet. Characters: schizophrenic Christopher Robin! xD Eeyore, rabbit, piglet. and Owl. Structures? Pooh's house, Tigger's House, Owl's library house. For the Incredibles: Maybe add some characters? Vehicle : Mr. Incredibles blue car. Dude youve got some gerat ideas! Im actually in the middle of adding Syndrome as a boss, but Frozone would be a great character as well! I'm here to follow this mod until the end, so I followed your profile so I can know whenever you update! I'll try every version out to tell you if there are bugs that you miss! The mickey pickaxe is my favorite so far! Also if you wouldn't mind in a while from now adding some Disney furniture if you know how to do that of course?